The Justice Department and U.S. Drug Enforcement Administration proposed reducing manufacturing quotas for the six most frequently abused opioids by an average of 10% in 2019, the agencies announced Friday. 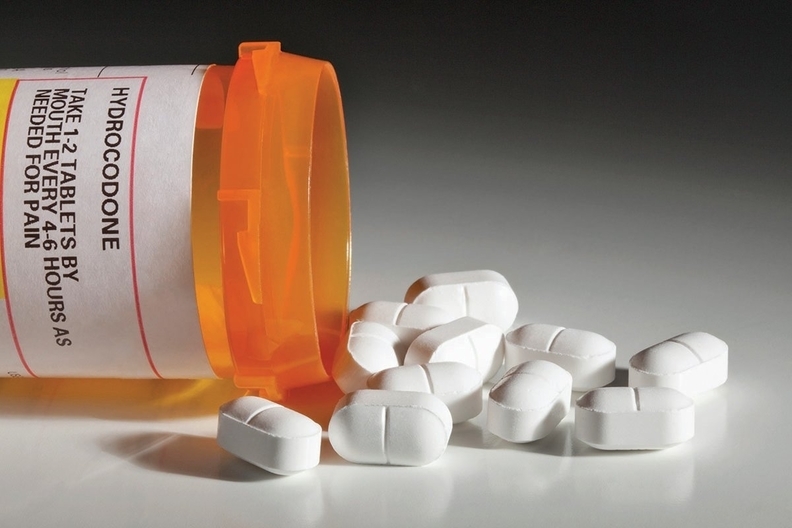 The DEA has proposed to reduce more commonly prescribed schedule II opioids including oxycodone, hydrocodone, oxymorphone, hydromorphone, morphine and fentanyl. Since 2016, production quotas for those drugs have dropped by an average of 44%, according to the DOJ and DEA. The proposal will be included in the DOJ and DEA's final rule that aims to change its regulations and quota process to more effectively limit opioid diversion, which will be reviewed by state attorneys general. "The misuse and abuse of opioids in our communities has reached epidemic proportions," U.S. Attorney Maria Chapa Lopez said in a statement. "We intend to work with our partners to use every tool in our arsenal, including prevention, education, and prosecution where necessary, to stem the flow of this devastating scourge." The quotas factor in estimates of the legitimate medical need from the Food and Drug Administration, estimates of retail consumption based on prescriptions dispensed, manufacturers' disposition history and forecasts, data from the DEA's internal system for tracking controlled substance transactions, and past quota histories. Once the aggregate quota is set, the DEA allocates individual manufacturing and procurement quotas for each drug manufacturer, which may change based on a change in demand or supply. Some healthcare organizations have implemented their own programs aimed at reducing the circulation of opioids. Providers have instituted systemwide cuts in opioid prescribing while insurers have limited their coverage to a seven-day supply of an opioid prescription that requires prior authorization. Still, progress has been slow on stemming a national epidemic as prescription drugs make their way to the black market and people turn to cheaper opiates like heroin and synthetic versions of fentanyl from overseas. Also, providers worry that the opioid manufacturing caps are cutting off the supply for cancer patients and others with chronic pain who need the powerful painkillers. Pharmacists and physicians argue that the vast majority of the fentanyl that's killing people in droves isn't being diverted from hospitals, which makes these quota reductions misguided. A national shortage of injectable opioids also adds another wrinkle. Earlier this year, the DEA raised production quotas for drug manufacturers Fresenius Kabi and West-Ward Pharmaceuticals to mitigate the shortage, which is expected to last through mid-July next year. Federal regulators and pharmaceutical manufacturers are trying to fill a void left by Pfizer, which produces about 60% of the small-dose presentations of injectable morphine, fentanyl and other opioids. Pfizer has been mired in manufacturing hang-ups since July 2017. Requests for additional raw ingredients were made to the DEA on Jan. 1, but partial approvals for Fresenius Kabi and West-Ward Pharmaceuticals, along with a third smaller and unidentified manufacturer, weren't granted until mid-February and mid-March. The process highlights the difficult balance regulators must strike between limiting the opioid epidemic and getting pain medication to critically ill patients. The DEA has been under immense pressure to rein in production as the opioid epidemic has worsened. But the diversion of opioids from hospitals isn't the main problem, providers argue. The agency reduced its production quotas of opioids by at least 25% in 2016, which was the first reduction of its kind in more than two decades. But DEA-approved opioid production volumes remain high—including a 55% increase in oxycodone levels in 2017 compared with 2007, according to a 2017 letter to the DEA signed by 16 senators. Between 1993 and 2015, the DEA allowed production of oxycodone to increase 39-fold, along with drastic increases for other opioids, according to the letter. The number of opioid prescriptions increased from 76 million in 1991 to more than 245 million prescriptions in 2014, resulting in a dramatic rise in overdoses. More than 42,000 people died from opioid overdoses in 2016, according to the Centers for Disease Control and Prevention, a five-fold increase from 1999. The discussion as to what started the epidemic has been reduced to a blame game. Some claim that the federal authorities are at fault for not lowering the quotas more drastically and not maintaining a closer watch over the pharmaceutical supply chain. Regulators have accused drug manufacturers of gaming the system. Purdue Pharma settled the DOJ's allegations of lying about OxyContin's addictiveness for more than $630 million. Distributors have been criticized for allowing massive amounts of opioids to flood small towns while they point the finger at physicians who churned out prescriptions based on beliefs propagated by pharmaceutical claims that the drugs were not addictive. A major multidistrict lawsuit is moving through the courts, representing hundreds of towns, tribes, cities, counties and states that look to recoup the financial burden associated with caring for people addicted to opioids. The plaintiffs argue that the drug manufacturers and distributors are responsible for the epidemic.